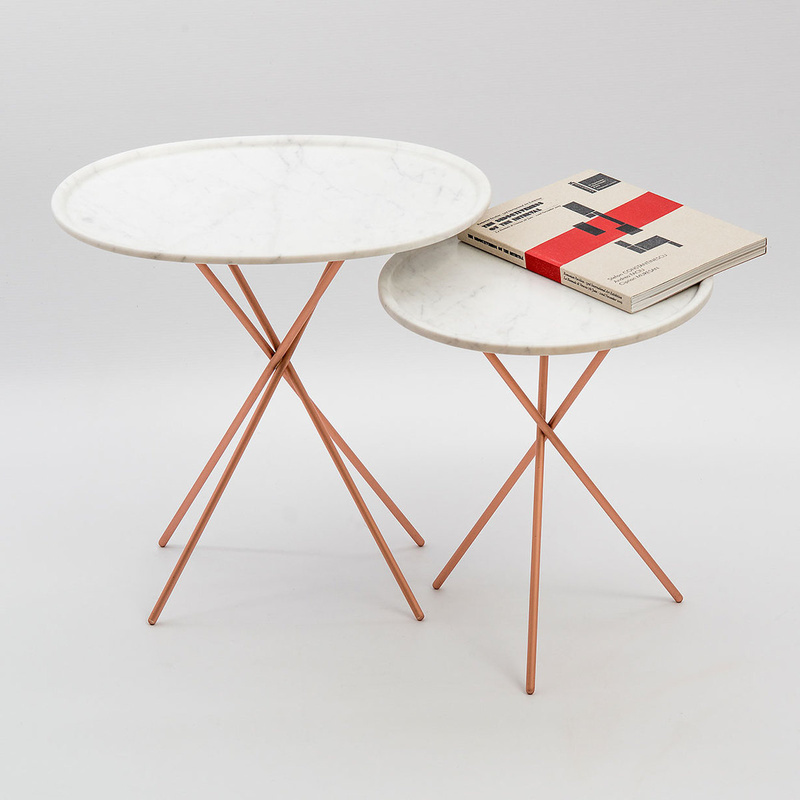 Egnazia is a round coffee table made from white marble with 3 copper legs. 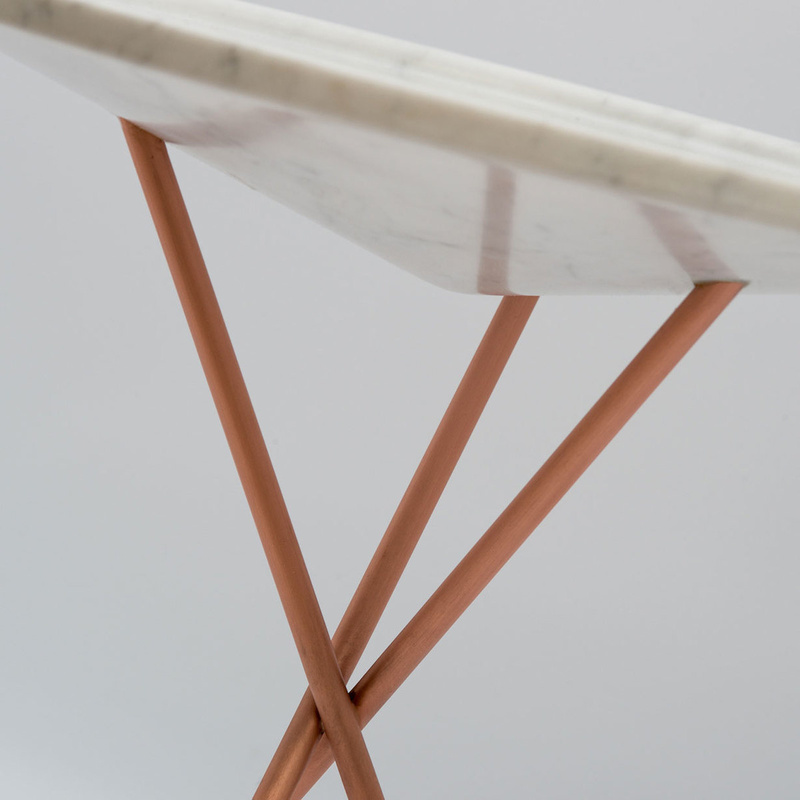 The key to this beautiful furnishing item is the contrast between its 'heavy' table top and its lightweight legs, slender yet sturdy. 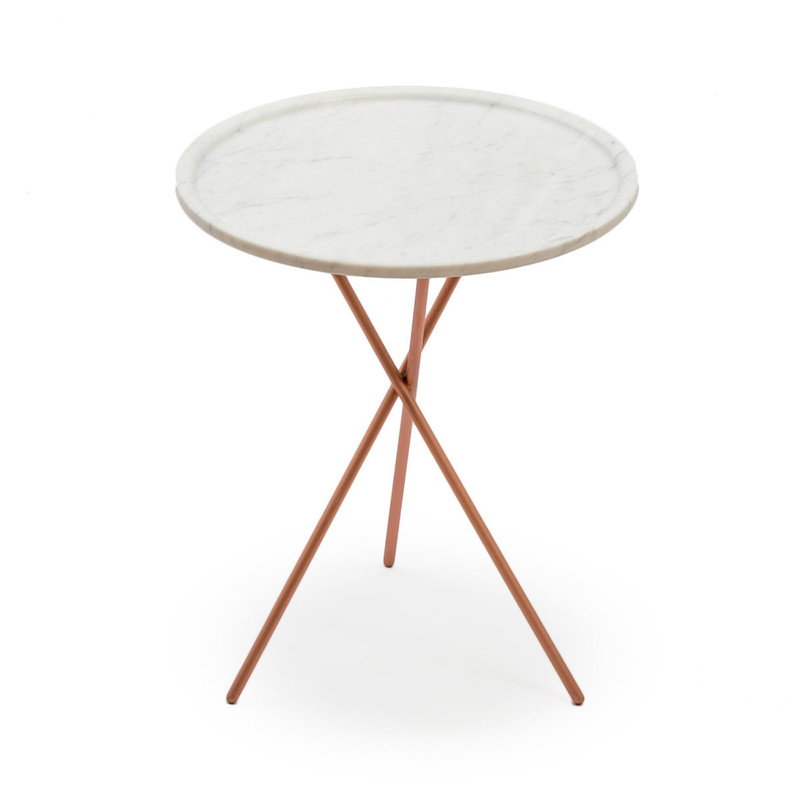 This coffee table can be the highlight of your living areas, or complete sofas and armchairs in your sitting room. You can also use it by the bed in your bedroom. Online you will find other inspirations for your home. Birgit lohmann is an industrial designer and has collaborated for over 20 years with Enzo Mari, Vico Magistretti, Bruno Munari, Achille Castiglioni and Renzo Piano. 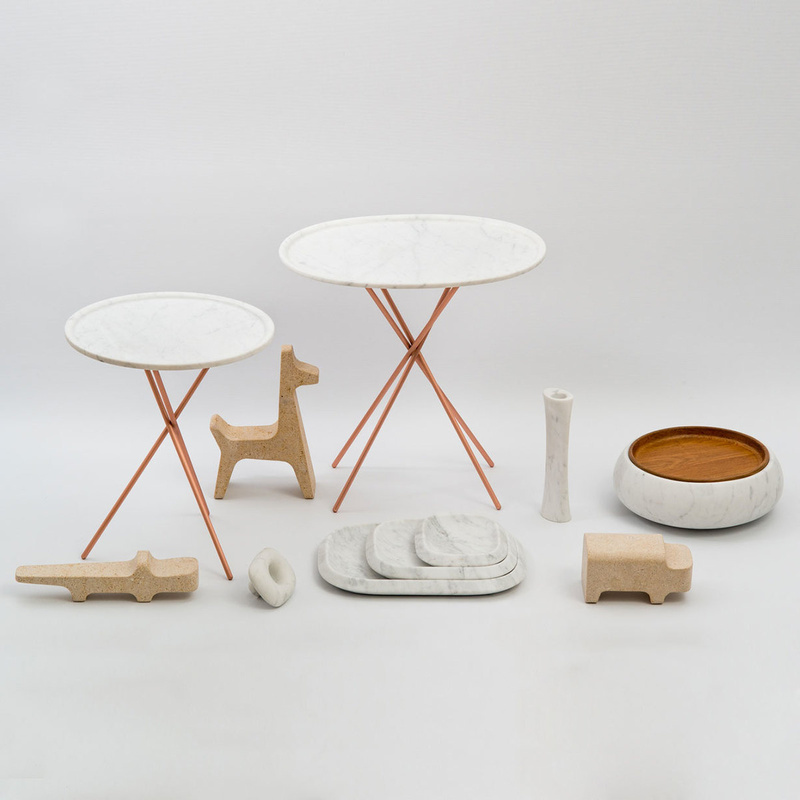 Working across diverse fields including interior fixtures, furniture, tableware and consumer goods, she has also been art director for the furniture company de padova in milan and KPM historic royal porcelain manufacture in berlin. 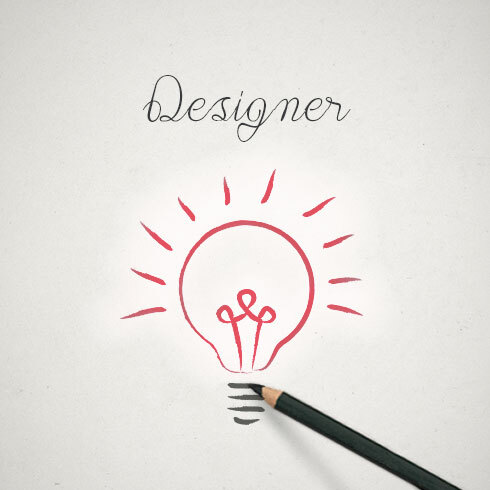 Est.1999, she is founder and editor-in-chief of designboom. With over 4 million readers monthly, it is the world's first cultural online magazine for architecture and design news. The TIME magazine acknowledged designboom in 2007 as one of the top 100 world design influencers; designboom received a WEBBY AWARDS nomination for BEST LIFESTYLE publication in 2014, and honorable mention for BEST CULTURAL BLOG in 2013. Articles featured appear in english, chinese (mandarin) and spanish.